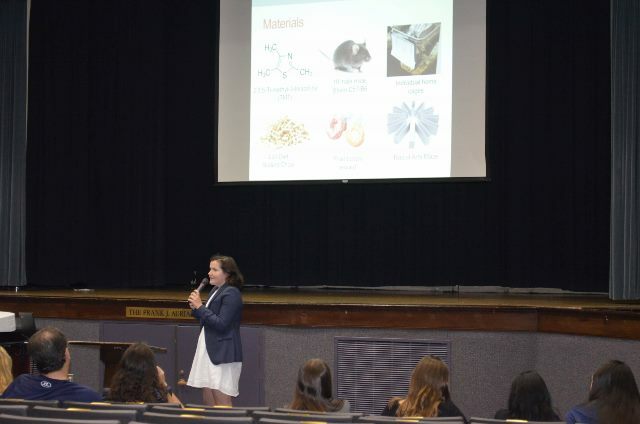 Science Research Symposium at The Ursuline School in New Rochelle, NY. Poster session for all researchers. Can you solve the Case of the Missing KEL Glycoprotein (red blood cell alloimmunization)? Climate change is in the news but, have you considered the phenological changes to Acer rubrum (seasonal changes in red maple trees)? What can we determine about the learning processes of mice when we study anxiety induced by 2,3,5-Trimethyl-3-thiazoline (TMT)? These questions, and more, were answered by our student researchers! After the Poster Session in the Gabelli Library, seniors presented their original research in the Auriana Theater. Congratulations to our seniors on the completion of their research. They are pictured below with their science teachers: Ms. Lyons and Mrs. Antonicelli. Science Research is a rigorous three-year elective course taken in conjunction with the regular science curriculum. 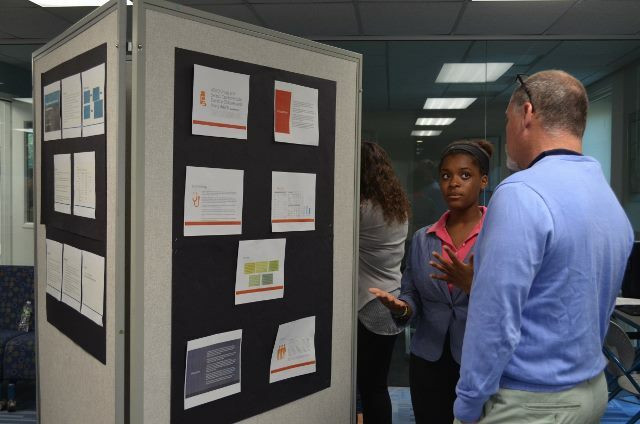 Beginning in sophomore year, this independent research program teaches students how to conduct literature searches, how to read scientific peer-reviewed literature, how to give oral presentations effectively, and how to formulate a research topic, hypothesis, and research plan. 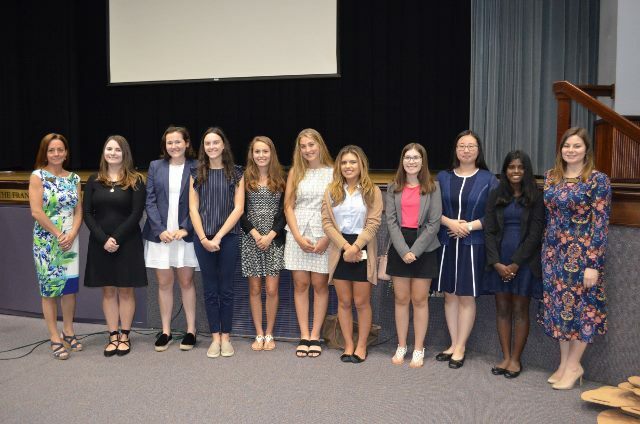 With guidance from a scientist mentor, students conduct original research projects in their junior year and present their findings in a formal research paper that meets the requirements for state and national competitions during their senior year. Seniors conduct experiments and enter competitions. Research areas include astrophysics, engineering, computer science, ecology, molecular and cell biology, physics, medicine, psychology, pharmaceuticals, and veterinary medicine. 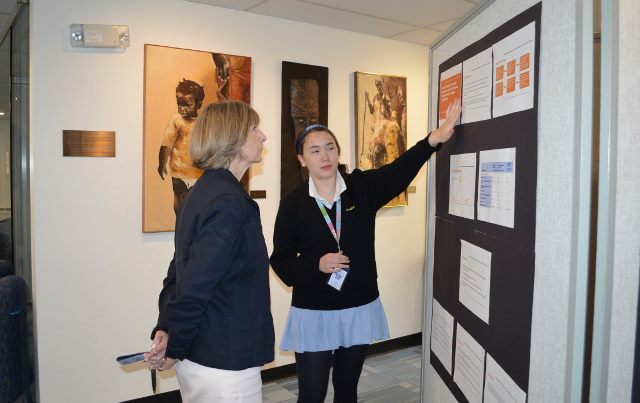 The Science Research Symposium has a significant history at Ursuline. A number of students have continued their science studies in college or medical school. We are grateful to the scientist mentors who have guided our student researchers over the years.